Few km from the most beautiful places in the region, great for golfplayers. Set among the verdant Montalbano hills, this farm is located in the heart of Tuscany, just a few kilometres from the most beautiful and striking places in the region. Thanks to the local road network, visitors can easily reach cities including Pisa, with its leaning tower, Florence, the city of the Renaissance masters, Siena, brimming with art, culture and traditions and Livorno, a seaside and tourist destination. Also well worth a visit is Vinci, hometown of Leonardo da Vinci. It is a mere kilometre away and can be easily reached on foot. More adventurous visitors can go for walks and bike rides along woodland paths, admiring the untouched nature and occasionally crossing through olive groves and vineyards tended by local farmers. From the farm house's garden, admire three characteristic villages of the area: Vinci, Cerreto and San Miniato, which at night are illuminated with bright orange lights. 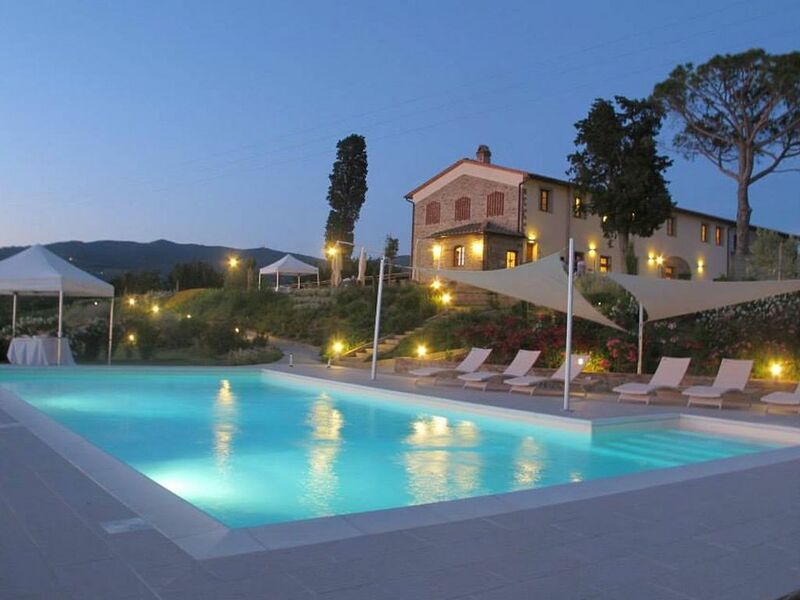 The farm offers those looking for a relaxing Tuscany hillside break a chance to spend an unforgettable stay, while relaxing and having fun. The two young owners, Elisa and Dario, will help make your holiday hassle-free and will be delighted to help you discover the gems of this stunning region, pointing you in the direction of the most beautiful destinations and explaining local traditions and customs. The first morning of your stay you will be offered a good and rich breakfast that you can also request in the following days (€ 7 per person per breakfast). Schönes anwesen, nette vermieter, günstige lage. Wunderbare Ferien für die ganze Familie mit herzlichen Gastgebern und sehr guter Küche! Goed huis, prettige ontvangst, hulpvaardige staf en goede keuken. Mooie tuin. Fantastische ligging (uitvalsbasis voor uitstapjes in Toscane). Erg leuk om hier de eigen gemaakte wijn en olie te kopen. Tip voor de verhuurder airco in prijs verdisconteren evenals de optionele schoonmaak bij 2 weken huur. Tip voor gasten in juli/augustus neem een muskietennet mee. Het kan wat druk worden bij BBQs en zwembad met meerdere gasten.